We are offering Cashew Nut Grader Raw Machine to our client. Its Separates raw cashew into 4 different grades (sizes). This exercise make the further process of shelling more effective and also reduces final grading work. - This exercise makes the further process of shelling more effective and also reduces final grading work. size = 7ft X 2.5ft material = mild steel0.5 hp gear motorGradding size =18 , 20 , 22 mm production = 100 kg per hour minimum. 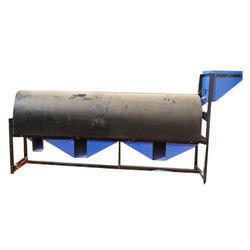 As a prominent company, we are engaged in offering a wide range of Raw Cashew Grading Machine. This product is prepared utilizing the prime quality raw material with the help of advanced technology. Easy to operate, the blades of these machines are made of alloy steel which helps to enhance the durability of the machine. Type 2 Raw Cashew Grader, perfect solution for your Raw Cashew Grading Needs in Cashew Processing Line. 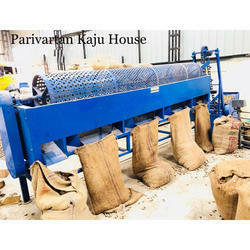 As a prominent company, we are engaged in offering a wide range of Raw Cashew Grading Machine.